The release "dropped" via a marathon 24-hour DJ set last Thursday - which, according to Billboard, didn't go exactly to plan. "Instead of dancing, many guests had their smartphones held high," reported the magazine. "Eventually Diplo cut out the music in disgust. 'No, for real, put your phones away because you look like an idiot,' he ranted. 'If you want to be on Snapchat all night, make some noise. OK, you're a dickhead.'" Anyway, the music is as ridicubonkers as you might expect. 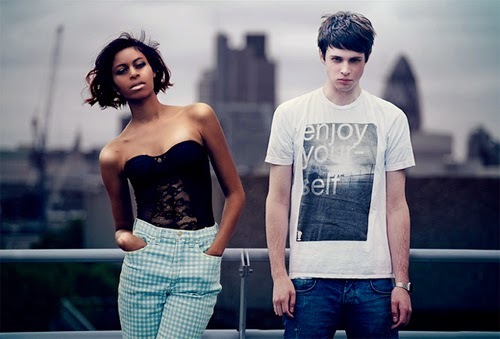 My favourite so far is the collaboration with AlunaGeorge - first previewed two years ago. Called To Ü, it wobbles like Mr Jelly on a see-saw in an earthquake. But you should also check out the Kiesza / Missy Elliot track - if only for Missy namechecking a whole bunch of Salt-N-Pepa tracks in the first of her two guest verses.